As a central and key place for the city, curators Modulorbeat have been commissioned to renovate and reactivate the public space by addressing specific and inclusive actions. 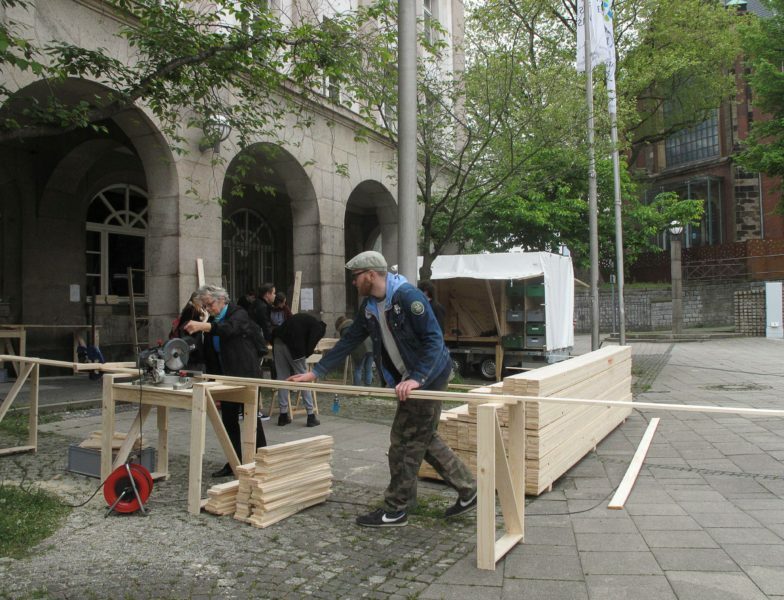 constructLab has been invited by Modulorbeat to intervene on the public space of the square together with atelier LeBalto, with two separate but strongly connected actions. 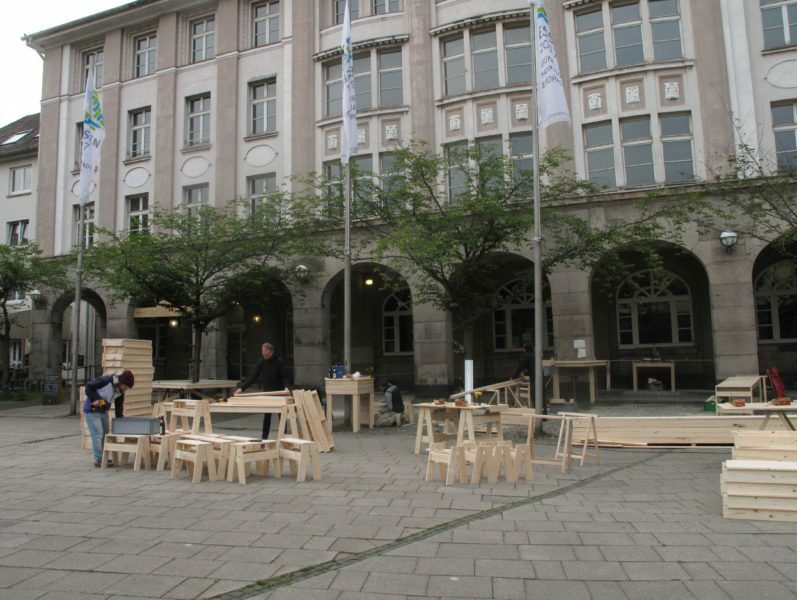 The concept behind the project was to create a modular system of tables that could, once joined together, cross the whole square and the garden in the middle of the square itself, afterwards reimagined and enriched by Atelier LeBalto, connecting the building to the stairs which access to the square, the church on the side to the local market held once a week, the local associations to the users of the space. 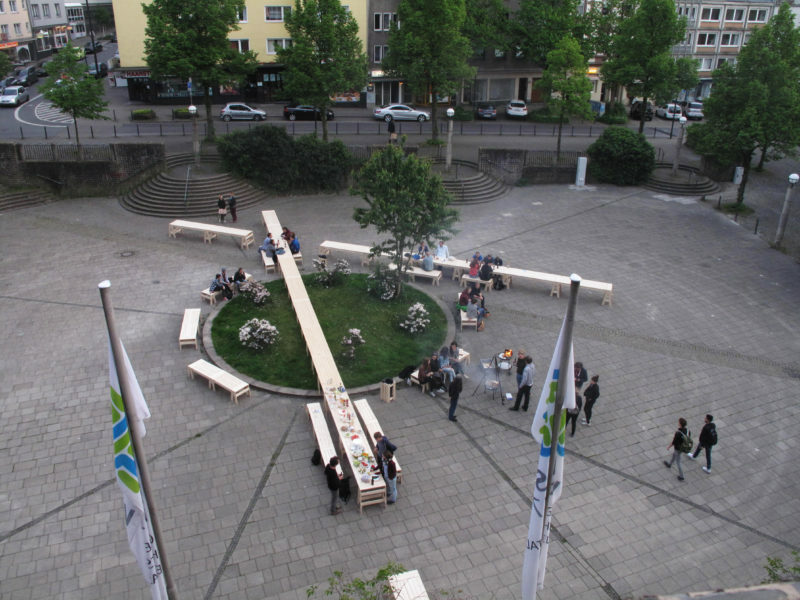 The table can vary on length thanks to a simple mechanism that allows many tables to be put together, sharing the common legs; the Essentisch starts in front of the building, embracing in its path a tree, a pole and a column of the patio of the former Haus der Begegnung. When crossing the garden in the middle, slowly turns itself into a picnic table, were people can use the grass as a bench. Benches with the same mechanism of the table were built along the rest of the table, whose configuration can be rethought and created according to the specific needs. 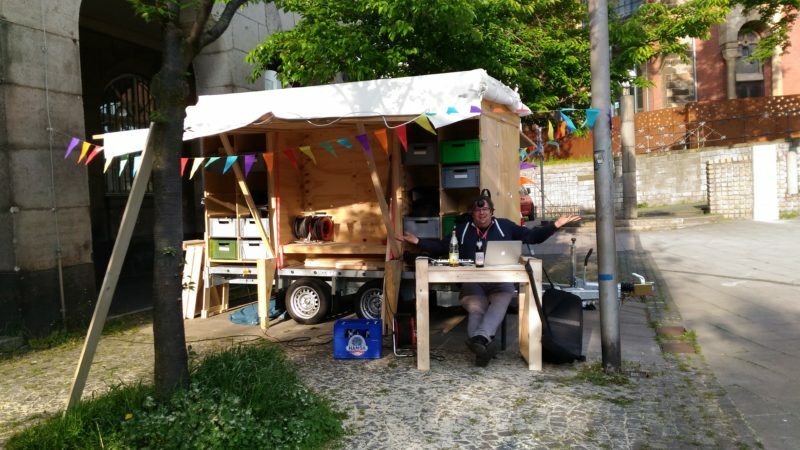 Together with W.o.W, the mobile workshop on wheels built on a trailer, constructLab has found the collaboration of many local associations, who participated during the building week to create their common space. On the last evening, a celebration inaugurated the space, transforming the empty square in a grill-picnic party, the workshop in a soundsystem and the table in a long meeting place. 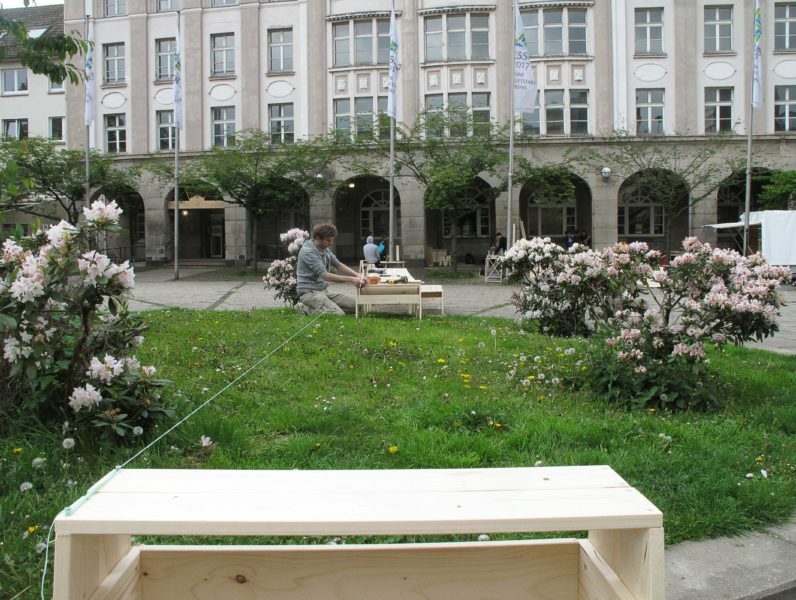 At the end of the project, open source instruction of self building the modular benches have been generated and shared. Project commissioned by Grüne Hauptstadt Europas – Essen 2017, curated by Modulorbeat.